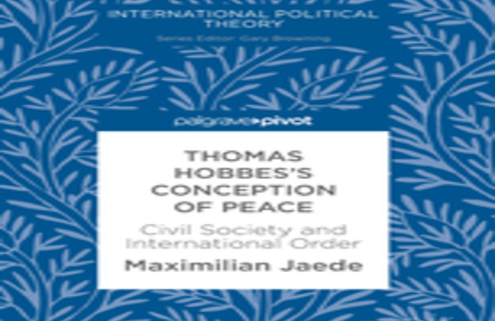 About this book: This book explores Hobbes’s ideas about the internal pacification of states, the prospect of a peaceful international order, and the connections between civil and international peace. It questions the notion of a negative Hobbesian peace, which is based on the mere suppression of violence, and emphasises his positive vision of everlasting peace in a well-governed commonwealth. 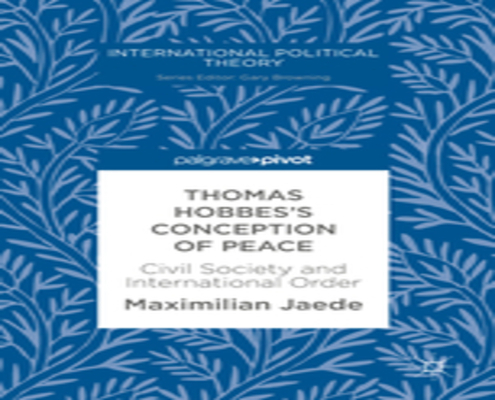 The book also highlights Hobbes’s ideas about international coexistence and cooperation, which he considers integral to good government. In examining Hobbes’s conception of peace, it provides a fresh perspective on his international political thought. The findings also have wider implications for the ways in which we think about Hobbes’s relationship to the realist and liberal traditions of international thought, and will appeal to students and scholars of political theory and international relations.